Classic Brick Home in Steve Pennington 8th addition. 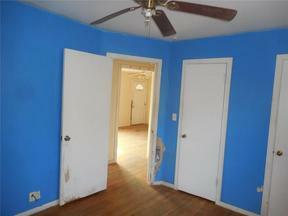 This 3 bedroom, 2 bath home features wood floors throughout. The back yard is spacious with a workshop and large storm shelter. Located on a divided street with tree lined median. Garage conversion can be converted back to a garage. Sold “AS IS”. Property built prior to 1978 lead based paint potentially exists. Buyers to verify all info. This property may qualify for Seller Financing (Vendee).